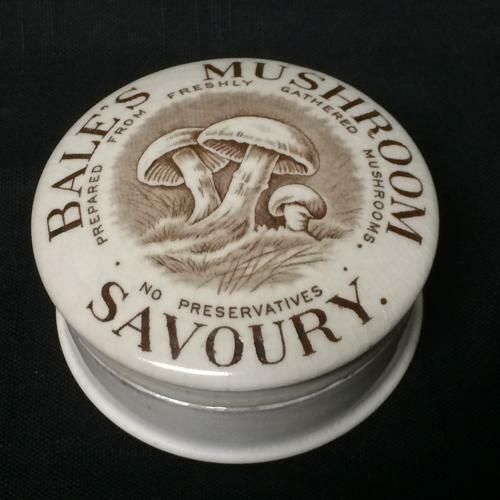 This large Victorian 3 1/2” wide x 1 5/8 " tall covered ceramic earthenware container was made during Victorian times and contained savory Mushrooms without preservatives. The pieces are in great condition. The base has a chip to the topside. Rare to find so clean and with the original matching base.